Made to last, the Extreme Torque 14-pc. 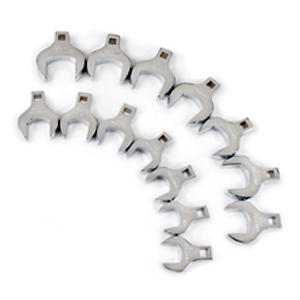 1/2" Dr. Jumbo Crowfoot SAE Wrench Set reaches fasteners in tight spaces that standard wrenches cannot. The SAE set comes with a handy, snap-in storage tray. ETC wrenches have a lifetime warranty and replacements are available individually.